Besides filtering "third party" cookies, not all blog owners and readers will permit complete control by content under the individual blogs. If you want "Don't track" to work reliably, enable scripts for the blog URL. If you want the "Don't track" option to work reliably for your blog, you now must enable scripts to run under the published URL. We have to trust scripts run from "blogger.com" - that is the Blogger dashboard. The Blogger dashboard is produced by Blogger Engineers - and if we trust Blogger to host our blogs, we have to trust their code. Scripts which run under the individual blogs - "blogspot.com", local country domains, and custom domains - can be added by the owner of each individual blog. Not all blog owners should be trusted. People who mistrust third party cookies may also mistrust scripts which run under "blogspot" etc. 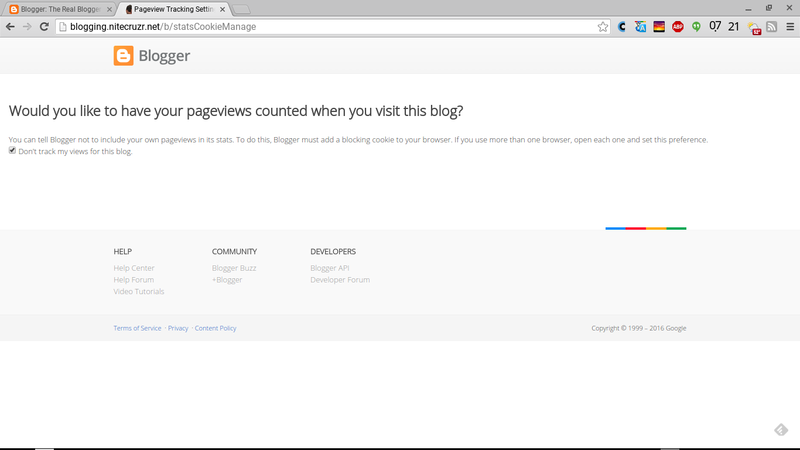 Unfortunately, to make "Manage tracking your own pageviews" work, you (the blog owner) now have to open up any script filters, which block content run as part of your blog. Start from the Stats dashboard page. 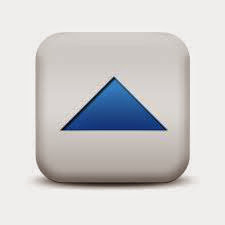 Click on "Manage tracking your own pageviews". 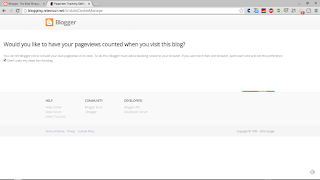 "Manage tracking your own pageviews" now runs under the blog published URL. This removes "third party" cookies from the problem. 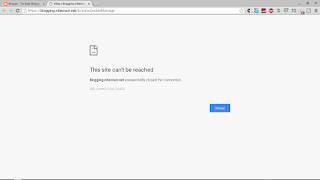 With a custom domain published blog, you must use the wizard in "HTTP:" mode. By default, the new wizard runs in SSL mode. This will be a problem, with blogs published to custom domains. If the blog is published to a custom domain, you will need to change "https" to "http". Check "Don't track my views for this blog." - then close the tab / window. 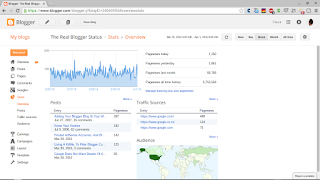 The new wizard, "Would you like to have your pageviews counted when you visit this blog? ", now runs as "blogging.nitecruzr.net", for this blog. If you publish to a custom domain, and you can correct the URL, you will see the same, for your blog. If you publish to "blogspot", you can see the same also. This is a script - and the script is subject to security filters. And yes, there is no "Save" button, or link. Just the box. Don't track my views for this blog. Click the box or don't. As soon as you click, it's set. If you change your mind - now or later - click the box, again, and clear the option. You should trust your blog - even though you do not trust other blogs, in general. Generally, as the blog owner, you can safely trust content run under your blog. You probably should not trust "blogspot.com", and all blog publishers, however. This means that you will require multiple filter rules - for every browser and security add-on, that contains a script filter. If you publish to "blogspot.com", and live in a country which has a local domain, such as the UK, you need a rule to permit the local domain alias. If you have multiple blogs - and want to block pageviews from being counted, for each blog, you need permissive filter rules for each blog. 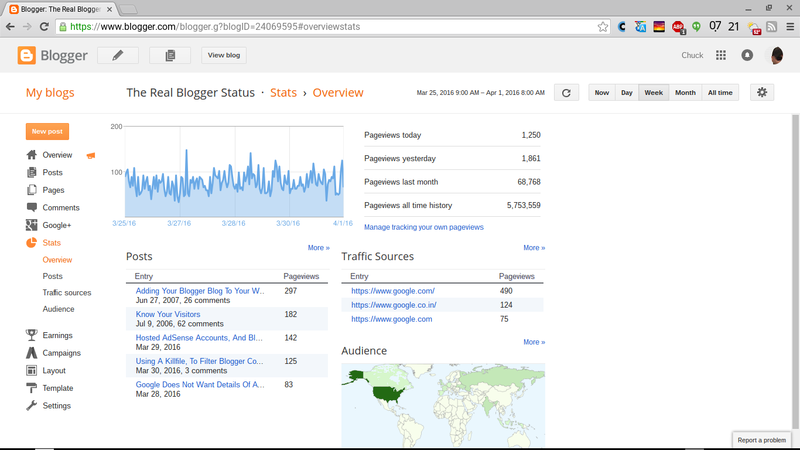 If you do not permit the proper URL(s) for your blog, you will find Stats counting your own pageviews. Possibly, this will happen even with "Don't track my views for this blog." checked. In some cases, the check mark will be cleared, when you close the window. Owners of #Blogger blogs who don't want their activity tracked by Stats now see a new "Don't track" wizard. Using the "Don't track" option no longer requires enabling third party cookies - and worrying about the security issues. I checked the option on blogspot.com and I checked it on custom domain, but it is not working. Besides, every time I restart Mozilla, it is unchecked again. The situation is the same in Google Chrome. So, my question would be (and sorry if it sounds stupid): Which add-ons, applications and/or plugins could be restrictive towards scripts? Or is there a way to "tell" the browser not to block this "Don't track..." script? It's not a stupid question - but it is a very frustrating one. Any and every performance or security add-on, plugin, or setting may control a cookie and / or script filter. If you want the best advice to investigate this, please post in Blogger Help Forum: Get Help with an Issue, so we can discuss this conveniently. I don't understand "scripts" or any of this. I wish someone would explain step by step how to keep the blame thing from counting my page views. This has been going on for years. 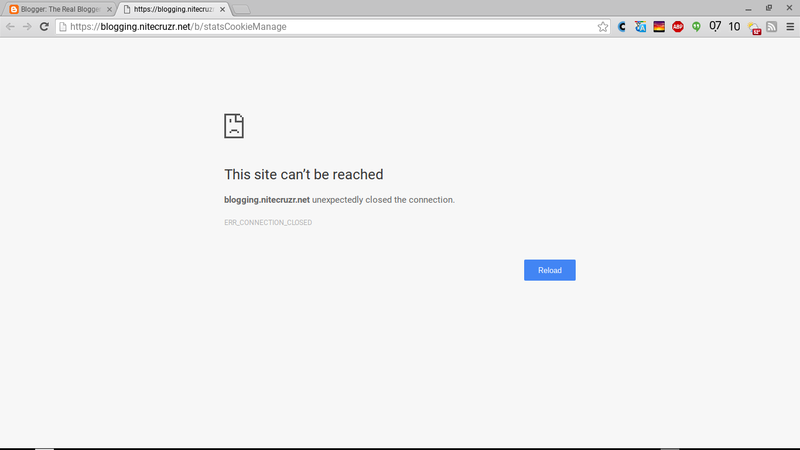 Isn't blogger ever going to fix it? Don't they know how? Thanks for expressing your frustration. You're not alone. People have been reporting this symptom - inability to get Stats to ignore their own personal activity - for years. Blogger has been improving the situation, slowly, for years, too. Unfortunately, as long as people own and maintain their own computer - and add personally chosen accessories like AdBlockers, there are going to be ongoing problems with cookie and script filters. Please note that some problems cannot be resolved by Blogger Engineering.